We offer two blocks for use with 2-3/4" wide abrasives. 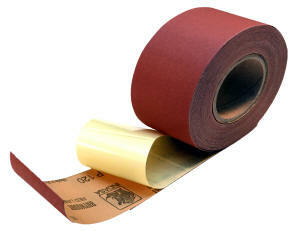 They are available for PSA abrasives like the rolls on this page, and for hook & loop abrasives. Click here for link.